The Tiffen 138mm Low Light Polarizing Glass Filter was developed for shooting indoors in low-light conditions and for situations that do not provide enough light for a standard polarizer to be used. The low-light polarizer reduces glare and reflections and adds just enough punch to saturate colors and maintain decent contrast without compromising image quality. 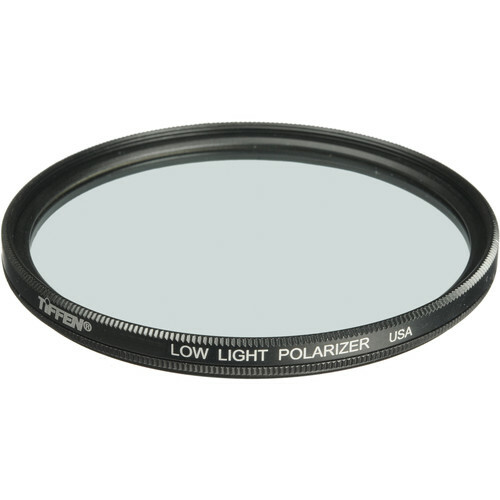 Box Dimensions (LxWxH) 6.75 x 6.3 x 1.0"
138mm Low Light Polarizing Glass Filter is rated 3.0 out of 5 by 1. Rated 3 out of 5 by Jan R. from Only cuts one stop but not as polarising Only cuts one stop but not as polarising as other regular circular polarising filters I have used in the past.